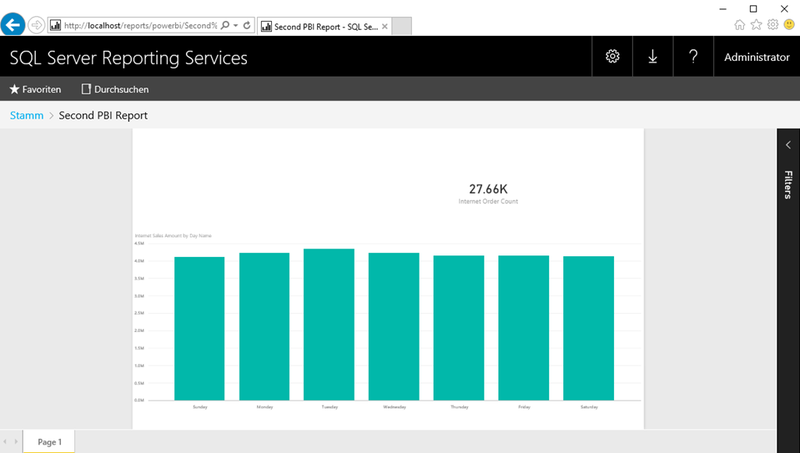 The next step towards the on-premises version of Power BI reports hosted in SQL Server Reporting Services (SSRS) has been made available by the SSRS team (January 2017 Technical Preview post, Getting started with the Technical Preview post). Again, the SSRS team provides an Azure virtual machine template for immediate testing, but with the January 2017 Preview there is an installation for SSRS vNext available. Regis (blog) already wrote about his first experiences with the installation. I would only like to add some things. In the past, the installation of SQL Server Reporting Services was a part of SQL Server setup. 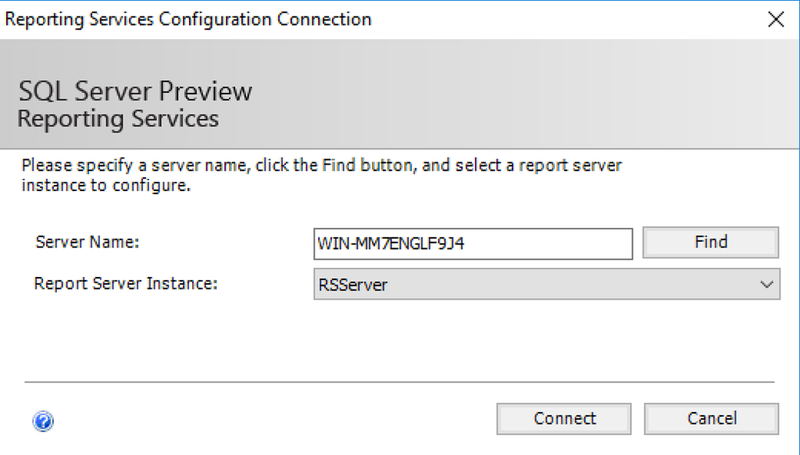 The Jan2017 Preview adds a new, standalone SSRS installer. The download for the required files can be found >> here <<. What I found really interesting is the fact that the SSRS installer is only about 50 MB! The other downloads you’ll need to work successfully with the Jan2017 preview is a special version of the Power BI Desktop application. The installation went real smooth: only one option (to change the installation path) is available. Otherwise it’s just a next-next-done installation. Let’s see if there will be stand-alone installers for SSIS, SSAS and/or other surrounding services in the future. After the installation you’ll need to configure SSRS Jan2017 preview with the well-known Reporting Services configuration manager. In my demo environment I had some issues after the installation. In the initial dialog connecting to my reporting server I got the error message “Provider load failure”. The dropdown for the report server instance was empty and the button Find only returned that error. The SSRS Configuration Manager for vNext looks like we are used to it. As the SSRS team mentioned no SQL Server database instance is needed for installation – only for configuration. And only for storing the Reportserver databases afterwards. 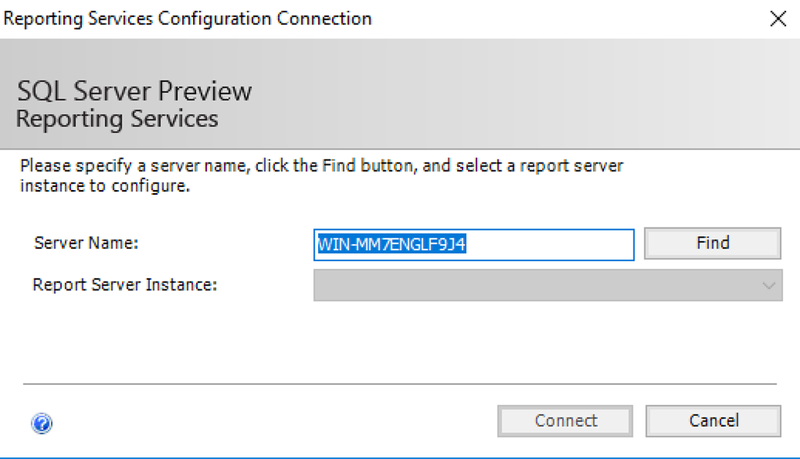 With that information in mind I tried to use SQL Server 2014 to store the ReportServer databases for the Jan2017 Preview – and it worked fine! For my tests I restored the AdventureWorks SSAS onto the local SSAS server, started up the special Power BI Desktop version, created a test report and saved it to the local SSRS vNext Jan2017. I am not sure if it is related to the fact that I did the Jan2017 testing on a local VM but for me it seems that the opening of a Power BI on-premises reports is faster compared to the “older” preview versions. This entry was posted in Business Intelligence, PowerBI, SQL Server. Bookmark the permalink. I had the same experience. It is faster. I also configured Kerberos and Direct Query to access relational content directly. This works also quite cool. Just found a bug with caching data. If you add data in real time it will not be displayed immediately if you click on a filter/slicer you see it or if you refresh the whole report page. But hey, for version one, this works really cool! Thanks for the hint – will try it.. But I think it is the same in powerbi.com -> Autorefresh only in Dashboards, not in Report pages!? I am having the same “Provider load failure.” message but unfortunately remove/reinstall is not fixing the issue. Anyone else having this problem? I did not really find others on the net that had the same problem. As I’ve written in my post – the second installation run did it! where you able to fix that issue? It’s the same for me. In my case, installing “KB3138367 – Update for Visual C++ 2013 and Visual C++ Redistributable Package”, as specified in “https://blogs.msdn.microsoft.com/sqlcat/2016/07/28/installing-sql-server-2016-rtm-you-must-do-this/” worked.